130p. chron. further reading. glossary. index. photos. Visible Ink. 2015. pap. $21.95. ISBN 9781578595105; ebk. ISBN 9781578595440. Gr 9 Up—Renard, a professor in the Department of Theological Studies at Saint Louis University, clearly knows his subject, but that knowledge does not receive its best presentation in this primer on Islam. Renard succinctly covers the life of Muhammad as well as other important personages, historical and current events, and theological, cultural, and practical questions. Students searching for a specific piece of information on Islam may find it here if they can follow the extensive table of contents to the relevant question or questions. On the other hand, readers looking for a broader understanding of Islam will have some difficulty, as the question-and-answer structure of the book necessitates a good deal of repetition. Major concepts like Sufism and legal traditions are used in answers early in the volume but are only described later. Throughout, Renard debunks misconceptions held about Islam that are common in the West, but at times his answers shift from the factual toward emotional defenses of the faith. 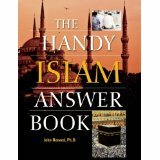 Scattered throughout are questions that feel out of place in an introductory text, such as those about a specific Islamic conference held in 2005. VERDICT There is useful information here, but students may have an easier time using other sources to find the basic facts on Islam hidden in these pages.